Extracts from : A Portuguese East Indiaman from the 1502–1503 Fleet of Vasco da Gama off Al Hallaniyah Island, Oman: an interim report, Mearns, D.L., Parham, D., and Frohlich, B, International Journal of Nautical Archaeology Vol. 45.2, © 2016 The Nautical Archaeology Society. 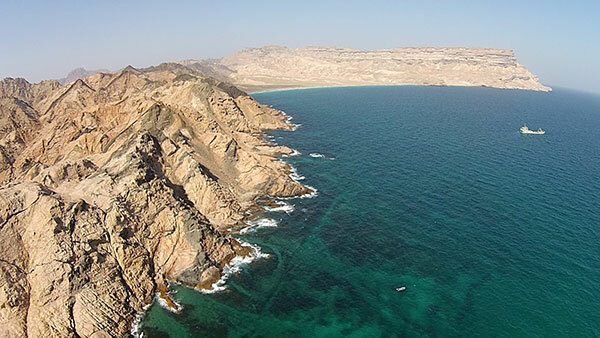 Al Hallaniyah is the largest of the Juzor Al Hallaniyat islands (previously known as the Khuriya Muriya islands), a group of five islands in the Dhofar region lying in an east-west string in the Arabian Sea approximately 40 km off the southern coast of Oman. Al Hallaniyah is the only inhabited island of the group with a single village (population 100 to 150) located on the flat western part of the island. The island is only reachable by boat from the mainland or by a small propeller plane and thus is an extremely remote and logistically difficult location to visit. In 2010 a large Government funded infrastructure project was started to build a new harbor facility and to connect the western and eastern ends of the island by a modern paved road. This project was completed in 2015. Al Hallaniyah measures 14.6 km by 7.7 km and has a total surface area of 55 km². 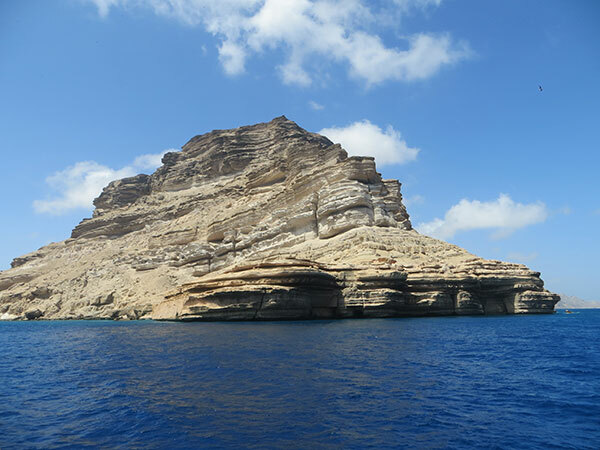 Like the other Juzor Al Hallaniyat islands it consists mainly of Precambrian crystalline rock (772+/- 8 Ma), although it does have a prominent (501 metre) wind-eroded limestone headland and bluff known as Ra’s al Hallaniyah on its northern side. The topography of the island is directly related to the underlying geology, which is generally rugged and barren except for some tamarix trees and a little grass on its eastern side. 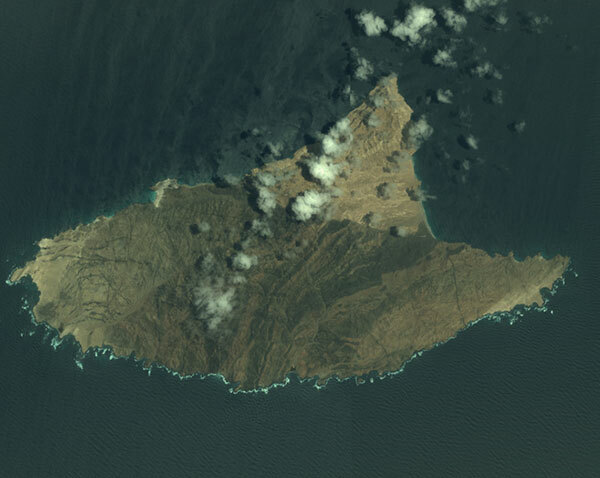 The eastern side of the island is underlain by a 5-km² granitic mass, which is considered older than the granite on the western side of the island. 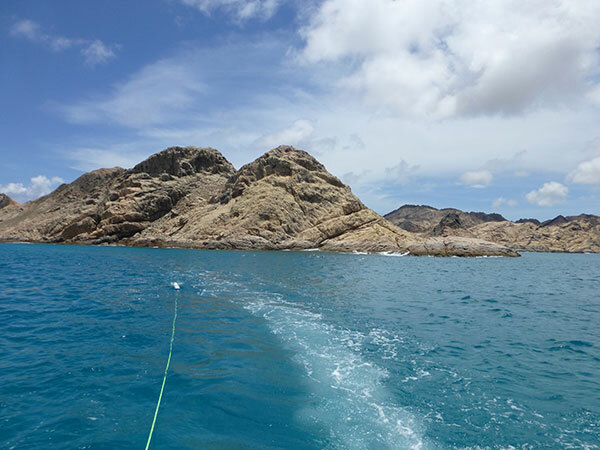 The central northeastern ridge of the island is made up of amphibolities and pink foliated granite. 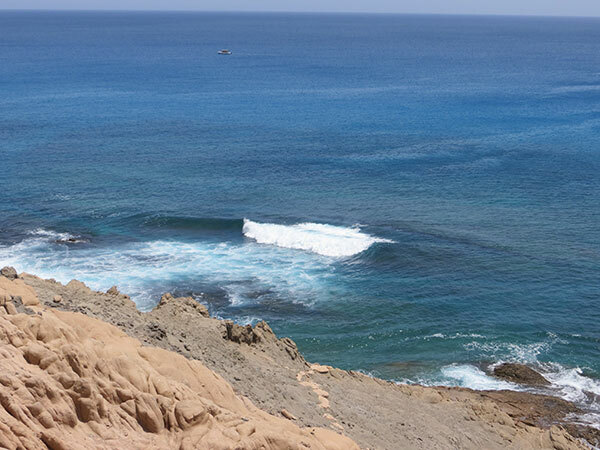 The island is situated on the extreme edge of Oman’s continental shelf, such that its southern side facing the Arabian Sea only has a narrow two-km wide strip of shelf where the water depths are less than 100 metres. Beyond the shelf the depth plunges rapidly to over 3,000 metres less than 14 km from the island. As a result of this position the island benefits from the upwelling of cold nutrient-rich deep water that is driven by the southwest Monsoon, known locally as the Khareef. The Khareef blows from mid-May to mid-September and causes the upwelling through the displacement of warmer surface waters. The colder water and rain brought by the Khareef leads to an explosion of biological growth around the island, including seaweeds and fish. This unique situation is the reason why Oman is blessed with humpback whales, which are the only ones in the world that are resident year round because they don’t have to migrate to find food. The humpbacks of Oman are considered to be geographically and genetically distinct, which together with their small numbers make them an endangered species. Ghubbat ar Rahib bay is a natural anchorage off the northeastern coast of Al Hallaniyah island. Large stone anchors discovered in the bay indicate that it has been used in the past as an anchorage and a British Admiralty chart based on an 1837 hydrographic survey also marks the bay as an historical anchorage. Depths in the bay slope gradually and uniformly to the north, while the fine, sandy bottom provides good holding for anchors. The bay extends approximately 3.8 km from Ra’s al Hallaniyah to Ra’s Sayyir the low-lying eastern extremity of the island. Owing to its position in combination with the height of Ra’s al Hallaniyah (501 m) and other internal peaks on the island rising to 503 m, the bay provides natural shelter from winds SE through S, to NW, which includes the Khareef. However, the bay is fully exposed to the north and winds and swell generated during the northeast monsoon. A dangerous northerly wind, known as the Belatt, which originates on the mainland and blows across the full fetch of Khuriya Muriya Bay is almost certainly the wind that the caused the conditions leading to the wrecking of the Sodré brother’s naus Esmeralda and São Pedro. Two known steel shipwrecks located in the bay were investigated as part of the overall project to document all cultural material that exists in the location. The City of Winchester was a 6,601-ton British cargo steamer captured at the outbreak of WW1 by the Imperial German Navy and later scuttled after 400 tons of her bunker coal was removed. 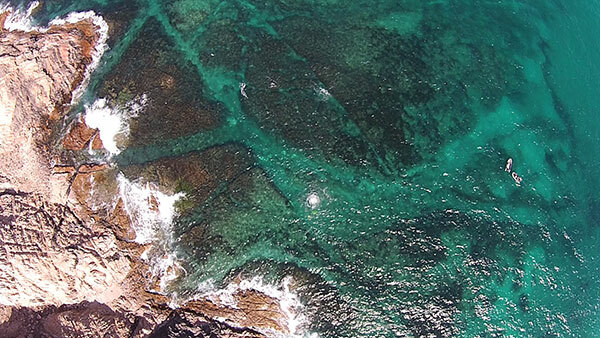 The wreck now lies in the centre of the bay, approximately 1,300 metres from shore, at a depth of 28 metres. In late 1999 a 750-ton cargo ship Al Quasmi carrying 5-litre containers of oil ran hard aground and was left stranded in the southwestern corner of the bay. All that remains of this dismantled ship are some sections of the steel hull lying along the rocky shoreline and in the adjacent shallow water. A high-resolution geophysical survey of the main anchorage area, encompassing 2.5 km2, was conducted at the start of the 2013 field season to map and investigate all anomalies that might represent archaeological material connected with the Portuguese squadron or other wrecks. The survey was conducted in the highest possible detail using sidescan sonar (Edgetech 4125; 400/900 kHz), cesium magnetometer (Geometrics G822), echo-sounding (Garmin 240) and sub-metre GPS positioning equipment (C-Nav 3050). The resolution and conditions were sufficient to detect seabed targets as small as 10 cm and magnetic anomalies of 1 nT. Only two prominent targets were detected by the geophysical survey, which were positively identified by divers as the remains of a small steam driven ship’s boat and a large iron anchor that was almost completely buried. Evidence collected by the divers strongly indicates that both objects originate from the City of Winchester and were lost during the action with the Imperial German Navy. The remains of the Portuguese shipwreck (site code AH1) was located in the shallow waters of Ghubbat ar Rahib bay within a series of narrow interconnected gullies, which intersect reef rock that slopes seaward from the foreshore. Four gullies have been designated: a major gulley (Z), which initially runs perpendicular to shore and then parallel with it; a sub gulley (X), which separates and re-joins Z; gulley W, which leads up onto shore and experiences considerable wave surge particularly at low tide; and gulley (V), which is a spur off the intersection between gullies Z and W. The fill of the gullies is largely sand, boulders, rock scree and broken coral, with an underlying granite bedrock approximately one metre below the current seabed. In gulley W the fill consists largely of boulders with relatively little sand. The maximum length of gullies over which finds have been recovered is 115 metres, with the width of gullies ranging from 5 to 18 metres and water depths from two to six metres. Despite the repeated searching of adjacent gullies with metal detectors and test trenches, no artefacts were found outside the confines of the site described above. As artefacts were found in the set of interconnected gullies described above, and nowhere else, this indicates that the site is the exact location where at least one of the Portuguese naus was driven ashore and wrecked. The natural pattern in the bay is for swell to build just seaward of the site and for waves to break directly over the gullies. Considering all our findings and observations, the likely wrecking scenario is that after their moorings parted the ships were driven against the lee shore, with at least one being funnelled into the mouth of the gullies by the natural pattern of swell and breaking waves. As this ship was driven into the gullies its bottoms would have most probably hit the reef between gulley X and gulley Z at only 2.1–1.0 m depth, causing fatal damage to the hull before it was driven further ashore. Once stranded in this position the ship would have been at the mercy of the sea and ultimately broken apart with little hope for the men aboard.